The popularity of women’s suits has ebbed and flowed since they were introduced in the 1970s. The styles have also changed dramatically throughout the years, evolving from masculine-looking suits to more feminine designs. The past few years in particular saw the transition from uniform-like suits to suits that focused more on individuality. So what types of suits are currently trending in the world of women’s fashion? Fashion tends to work in cycles and this is very much the case in terms of suits. While the boxy appearance of the jacket was retained, complete with square shoulders, the silhouette was changed to make it more feminine. W Magazine also cited fashion houses such as Prada and Céline, which innovated the classic suit by pairing the boxy jacket with fluid, feminine skirts. Suits paired with trousers have also been made more feminine by tailoring them to better fit the shape of women. A good example is the Paul Smith suit that Heather Graham recently wore to front a new Foxy Bingo marketing campaign. 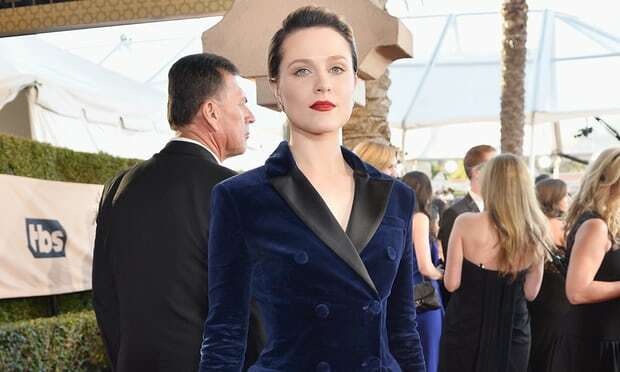 Despite its dark blue hue, it’s clear to see that the outfit doesn’t have a masculine feel to it, thanks to how the suit was tailored to fit the actress’s curves. Another fashion trend that surfaced fairly recently is the unapologetically flashy suits that people have begun wearing. Some of these flashy suits have included animal prints or sparkling aesthetics. Actress Zendaya wore a sparkly suit for Variety’s 'Power of Young Hollywood' event. Not only was the suit covered in sparkles, it was also in ombré pink. Celebrities are not the only ones who can pull off this bold look. Fashion Gum features women’s suits in bold prints and colours, proving that they can be worn by women from the office to parties if they wish to do so, such is the flexibility of the outfit. This transition towards individuality indicates not just a shift in fashion, but also in terms of how women see themselves. In effect, they are wearing suits, which were once seen as masculine outift, to establish their femininity.